A huge heartfelt thanks to all at THHN and all who generously support the families who are in desperate need of a relaxing holiday. We are the Penhale family from Newton poppleford and our son Joshua was diagnosed with Accute Lymphoblastic Leukaemia in June 1995. 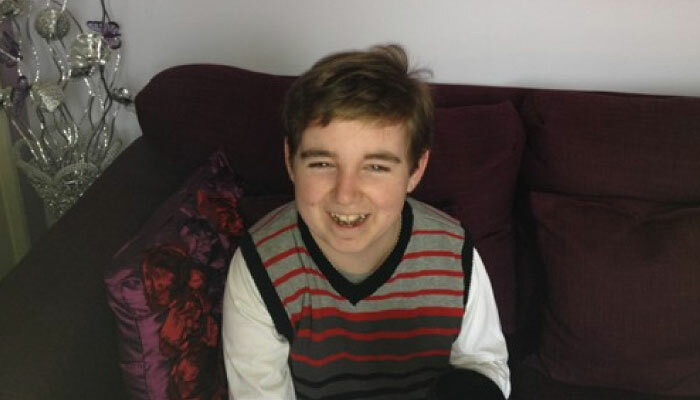 Josh unfortunately relapsed in the following year whilst on treatment and required a bone marrow transplant, which was successful.He has suffered many side affects due to chemo and radiotherapy, but has remained happy and contented with an admiral lust for life. Last year josh was diagnosed with a rare oesteosarcoma and had to have 4 ribs removed. Whilst having after surgery chemo, josh had a seizure and banged his head and suffered a subdural hemetoma which required a 5 hour brain surgery which was successful. Josh is a real hero and we are proud to be his parents, he gives love and emanates compassion, joy and empathy and a spirit of determination that never ceases to astound us. We were offered a family break at finlake holiday park in chudleigh, Devon and through the generosity of all those involved at THHN we had a truly relaxing break and were able to recharge our batteries, thank you for all of the kindness shown by the business owners. Please May we once again offer our gratitude to all who have made our break so memorable, kindest regards the Penhale family.